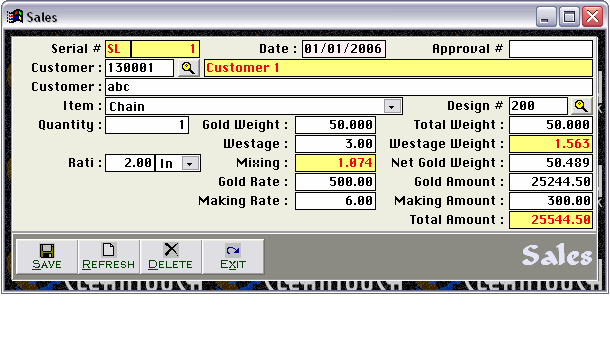 Cleantouch Jewelery Retailer System is aimed to provide tools maintaining books of small business of jewelers. 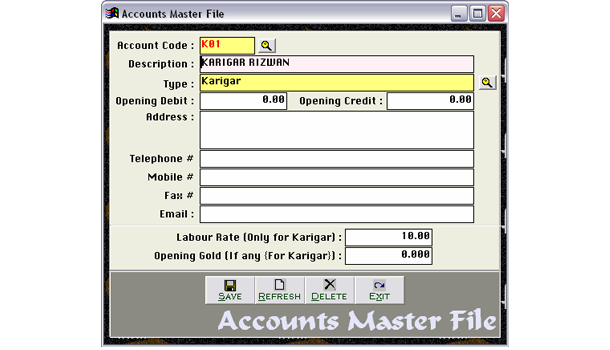 The software is very easy in use, which can be operated fully by the users, have little knowledge of computer. 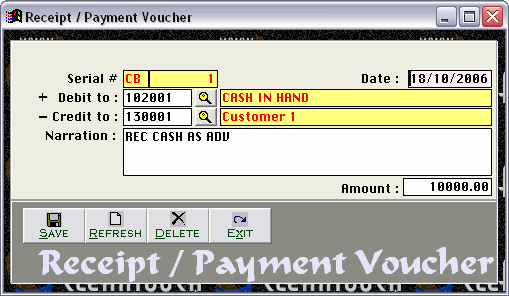 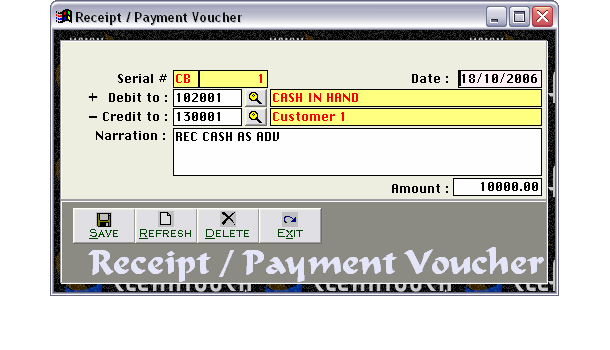 Accounting module comprises on single voucher named 'Receipt / Payment Voucher' only. 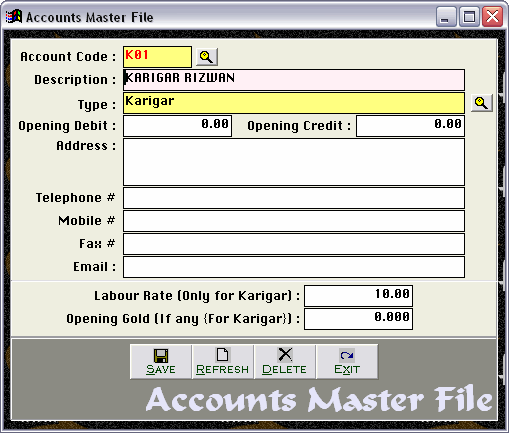 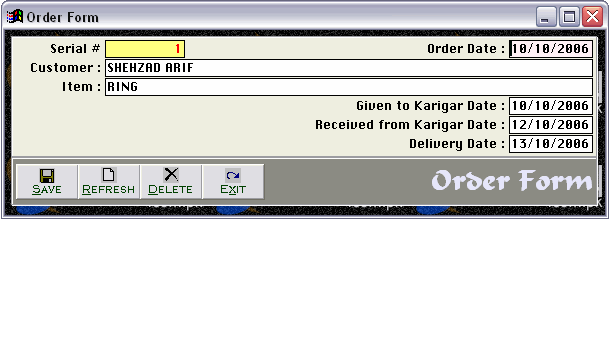 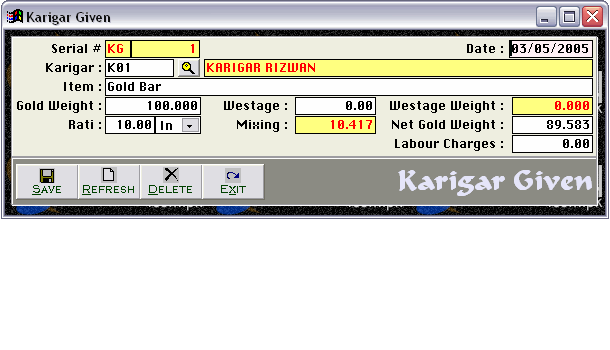 Through order form user can track record of pending to give to karigar (labour), pending for receiving from karigar and pending to deliver. 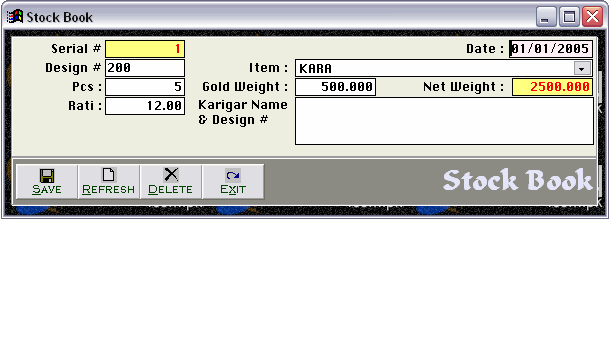 Inventory is maintained through Stock Book (+) and Sales (-). 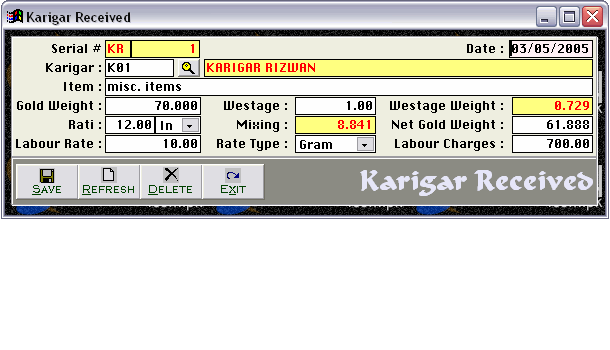 Karigar given & received maintain balance to karigar.